The Nigma smart watch enables you to choose between various clock face options so you can decide on the look you want. Its auto power saving feature will conserve battery life, simply flick your wrist to wake the watch up. The Nigma Smart Watch is unlike the average smart watch as you it has a SIM card slot. You can insert your own SIM, or the free international SIM card included, to make and receive calls and SMS messages using the built in speaker and microphone. This smartwatch is unlocked so you can use any micro sized SIM card inside. You can also sync it with your Android or iOS handset via Bluetooth. This smart watch is full of useful apps to keep you entertained. You can listen to music or watch video via Bluetooth or via memory card, monitor your sleep, track your fitness with the pedometer and sedentary reminder. It also includes and calendar and anti-theft app. Blog post: Find out what you should look for in a smartwatch. 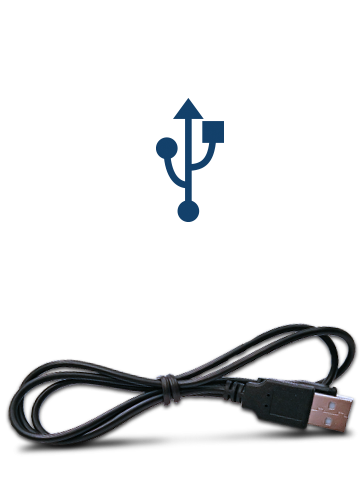 Use the included magnetic USB charging cable to charge the watch from your laptop, or using a plug adapter to charge it from the mains. With the 380mah battery you will get 180 hours standby time so you won't have to charge it very often. The Nigma Smart Watch has a 240x240 px scratchproof TFT screen, guaranteeing good clarity in a small sized screen. Choose from a selection of different clock faces to suit your style. The Nigma Smart Watch comes unlocked so you can use it with any SIM card of your choice. Insert a micro SIM card into the watch in order to use it as a phone and to send & receive SMS messages. 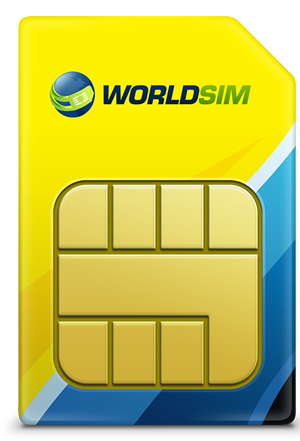 You will get a free international SIM card and credit included, this will enable you to reduce your roaming charges by up to 95% when you travel. Have all the music and video you need at your fingers tips with by inserting a micro SD card to extend the memory of your smart watch. The Nigma can support a micro SD card up to 16GB (not included). You can listen to music through the speaker on the smart watch or via wireless earphones. The Nigma smart watch has a superb battery with up to 180 hours on standby so you don't have to charge it very often. The battery capacity is 380mAh which is almost double the battery life of other smart watches. Play music from the files on your micro SD card or you can connect the watch to your phone via Bluetooth to play the music collection from your phone. The Nigma also has many other apps including: contacts, anti-lost, calendar, pedometer, sleep monitor, sedentary reminder, SMS and calling. 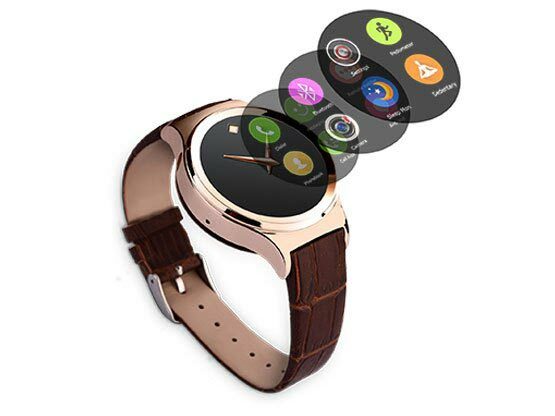 This Smart Watch Phone comes with a built in anti-lost feature so you will be reminded should you accidently leave your mobile behind or if it is stolen. Connect the Nigma smart watch to your phone in order to use the Bluetooth dialer, call reminder, make Bluetooth calls, Bluetooth SMS/IM Message Notification. You can also synchronise with your phones calendar so you won’t forget those important meetings. The Nigma smart watch is compatible with both Android and IOS handsets. Measure and track your fitness by using the built in Pedometer, Sleep Monitor and Sedentary Reminder. As you can play all your music and videos from your micro SD card exercising to music is much easier as you can leave your usual handset in your locker and still have everything you need on your wrist.